Could subsidised coverage help slow the decline in theatre criticism? Fergus Morgan: Could subsidised coverage help slow the decline in theatre criticism? People, mainly theatre critics, love to talk about the death of theatre criticism. The story is a familiar one by now. For print publications, it’s all about diminishing budgets, shrinking arts sections, axed columns and fewer reviews. For websites, it’s about surviving on scraps and relying on unpaid labour to maintain coverage. The victims, beyond the humble arts hack, are always the little guys. The latest opening at the National Theatre will always be reviewed. So will the big West End musical and the new Royal Court play. It’s the smaller companies, emerging artists and regional theatres that miss out when critical coverage gets slashed. But despite all the doom-mongering, solutions are slowly being found. One model for online outlets is the ‘Friends’ scheme being used by Exeunt, whereby direct debits from supporters go directly into paying its writers. Another, the model that’s often touted as a cure-all panacea for declining arts coverage, is subsidised criticism – that funded by a theatre, by a group of artists, or by an interested party. Even, perhaps, by the Arts Council. Over the last eight weeks, I’ve been The Stage’s resident critic at Vault Festival. The first four weeks of my stint were supported by We Are Waterloo, a South London Business Improvement District. It was an exercise in subsidised criticism. We Are Waterloo funded me for six Vault Festival reviews a week. The standard concern raised is that subsidised criticism jeopardises the integrity of the artist-critic relationship, that a reviewer’s opinion of a production will be skewed if he relies on the show itself for his livelihood. It’s a valid concern, but there are innumerable ways around it. The money doesn’t have to flow straight from the theatre to the critic’s pocket. Take my Vault Festival coverage, for example. We Are Waterloo is funded by local businesses. It charges a levy and, in return, supports projects that will drive customers to the area. 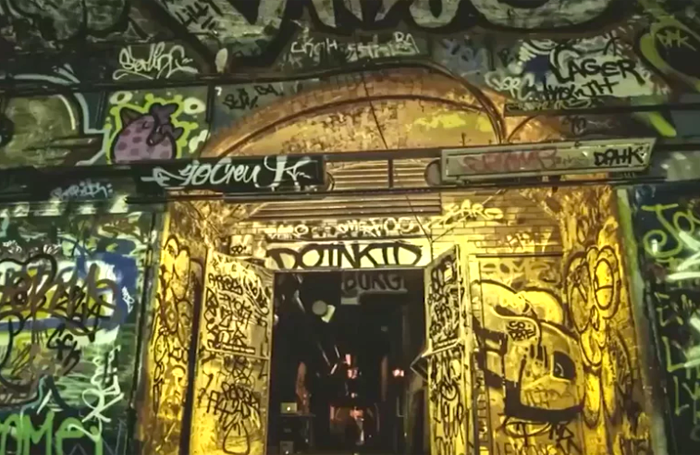 It supported my coverage, because it joined the dots: more reviews equals bigger audiences, resulting in more people using the bars and shops around the Leake Street venue. I was working at so many removes from the actual artists themselves, that there was no chance of my opinion being coloured. Not only that, but the relationship denied We Are Waterloo editorial control. Practically, it was like reviewing at any other festival. Innovative partnerships like this can alleviate strain on arts budgets. They could, and should, happen more often, particularly at festivals that are underserved by coverage – Brighton Fringe, Manchester Fringe, the Norfolk and Norwich Festival, Ipswich’s Pulse Festival and others. After all, it’s happening with cricket, so why not with theatre? Subsidised criticism wouldn’t work in every situation. The big shows and theatres don’t need it and if it’s done on too small a scale, via too direct a route, the question of integrity rears its head. But at fringe festivals, when there are hundreds of companies under one banner in one location, it makes a lot of sense. The Green Room: How does an acting career move to the next level?